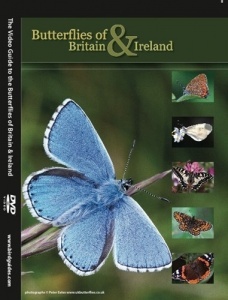 This double-DVD set from BirdGuides has been painstakingly filmed during the past three years using the most up-to-date digital cameras to present close-up footage of all of the butterflies found in Britain and Ireland. Running for over three hours, this broadcast-quality production offer comprehensive accounts of all 59 species with superb moving film and covering identification, distribution, habitat, behaviour and all life-stages. The video is narrated by TV presenter Nick Baker. Engaging and illuminating interviews have been filmed with knowledgeable butterfliers from all over the country, including Jeremy Thomas, Richard Lewington, Martin Warren and many other individuals involved with Butterfly Conservation.